The 21 airlines will be moved overnight on May 12th. The move affects nearly one-third of the airlines that operate out of LAX, with many moving to new terminals and others to new ticket counters within their current terminal. “While moving 21 airlines over three nights is a monumental task, Delta and the LAWA team have been planning and preparing for months to ensure a smooth transition,” airport commission President Sean Burton said in the release. During the relocation, passengers are advised to check into their flights online and arrive earlier than normal, ensuring they’ve gone to the correct terminal. Three neon green buses will be available to shuttle passengers between the affected terminals. 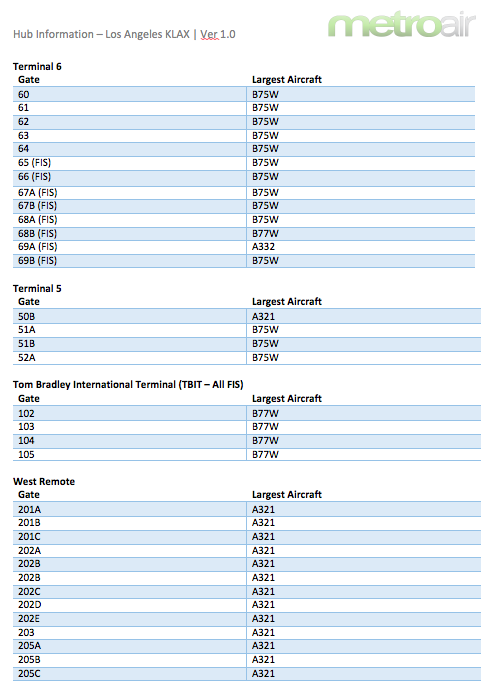 Specifically, the airline will operate from all 13 gates in Terminal 6, as well as 4 gates in Terminal 5. International flights operated by the Boeing 777-300ER and Airbus A330-300 will operate from the Tom Bradley International Terminal, while MetroAir Connect flight operated by Allegius will use the West Remote gates. Passengers can walk behind security between Terminals 5, 6, and the TBIT, or can use shuttle busses to connect between any of the 3 terminals and the West Remote gates. Information for pilots regarding operational changes will be released on the company forum.